Dr. K.P. Yohannan, Metropolitan has been crisscrossing the globe for the past 40 years, challenging the Body of Christ to discipleship. His call to a radical lifestyle—with an all-out commitment to Jesus—has left its impact on nearly every continent. To the Church caught up by the tidal waves of compromise and self-preservation, Dr. Yohannan's life message is a fresh word to this generation and yet as timeless as the scriptural mandate itself. Dr. Yohannan is the founder of GFA, a Christian mission organization deeply committed to seeing communities transformed through the love of Christ demonstrated in word and deed. He is also the metropolitan bishop of Believers Church, an indigenous church in South Asia. Born in South India in 1950, Dr. Yohannan is the youngest of six sons. His mother dedicated each of her children to the Lord and longed to see one of them commit their lives to ministry. She secretly fasted each Friday for three-and-a-half years, praying, "Oh God, let just one of my boys preach!" Even as she prayed, her children were growing up, seeming destined for secular work. Finally, only the youngest, little "Yohannachan," was left. Seeing how shy and insecure he was, his mother thought there was little chance that he would preach. However, after Dr. Yohannan finished his schooling, he heard stories about North India from a visiting mission team, and his heart was gripped. His mother's faithful prayers were answered as he immediately decided to join the mission movement and go to faraway North India to help bring the Good News to the multitude of villages that had never heard of Christ. While preparing to go with this radical mission team from Europe, the timid 16-year-old was challenged by a call to radical discipleship from missionary statesman George Verwer. That night, Dr. Yohannan couldn't sleep. What if God asked him to preach publicly in the streets? What if he was stoned and beaten? The next morning, he awoke with a supernatural love and burden for the people around him. The Lord gave him courage to speak to the crowds he saw that day, and he continued to preach for the next seven years in North India. As a field evangelist and regional coordinator, he was responsible for the members of his teams and the planning of each day. His future wife, Gisela, was also serving with the mission movement at the same time, and Dr. Yohannan felt through their brief encounters that he had found someone who shared his same vision and calling. In 1971, Dr. Yohannan was invited to spend a month in Singapore at a new institute that had been started by John Haggai. Here, he was challenged by Haggai to do something significant with his life for God's glory. His time at the institute produced a restlessness that eventually led him to leave India to search abroad for God's ultimate will in his life. In 1974, he came to the United States, where he received his theological training at Criswell College. He and Gisela were married after his first term. As a theology student, Dr. Yohannan was ordained and began pastoring a local church in Dallas, where he served for four years. While God blessed his pastoral ministry, Dr. Yohannan couldn't forget the burden God had given him for those who had never once heard the name of Jesus. As the Lord reminded Dr. Yohannan of the millions in Asia still waiting to learn of His love for them, he resigned his pastorate, and he and Gisela began taking steps to start an organization to support national missionaries, which eventually became known as GFA World (Formerly: Gospel for Asia) (founded on July 3, 1979). They began meeting together each Tuesday night with a small, faithful group of believers to pray over world maps. The Lord soon guided them to start a program through which people could regularly support the work of national missionaries by laying aside one dollar a day. As the Lord opened doors to share this opportunity with churches and individuals, the ministry began to grow. Today, GFA comes alongside thousands of national workers and supports them through prayer and assistance as they bring hope to the most needy in South Asia. GFA is engaged in dozens of projects, such as caring for poor children, slum dwellers and widows and orphans; providing clean water by funding wells; supporting medical missions; and meeting the needs of those in leprosy colonies. Through GFA's Bridge of Hope Program, tens of thousands of children are being rescued from the generational curses of poverty and hopelessness. In honor of Dr. Yohannan's decades of demonstrating the heart of a father to the fatherless, the members of the Christian Men's Network's Global Fatherhood Initiative awarded him the Reggie White Fatherhood Award in 2016. In 2003, he was awarded Alumnus of the Year from Criswell College for his influence in the work of God. One of Dr. Yohannan's deep desires is to see a new generation catch sight of the Lord's burden for the hopeless in their generation and to give themselves, no-holds-barred, to His work. GFA's School of Discipleship, a one-year program for young adults, is helping fulfill this dream. Through this life-changing year at GFA's headquarters in East Texas, dozens of young people have deepened their relationship with Christ and grown in their desire to follow in His footsteps. Many of them are now serving the Lord full-time in different capacities across the globe. Ministering hope and practical help to the people of South Asia, Dr. Yohannan's radio program, Spiritual Journey, reaches more than 1 billion people in 110 languages. His Road to Reality radio program airs weekly on more than 200 radio stations in the United States, Canada, Europe, Australia and New Zealand. Additionally, viewers in 100 nations can watch him daily on AYTV. He served on the executive committee of World by Radio from 2004–2012 and as a board member with the National Religious Broadcasters Association (NRB) from 2013–2015. In recognition of his service, NRB presented Dr. Yohannan with its Individual Achievement in International Broadcasting award in 2003. Dr. K.P. 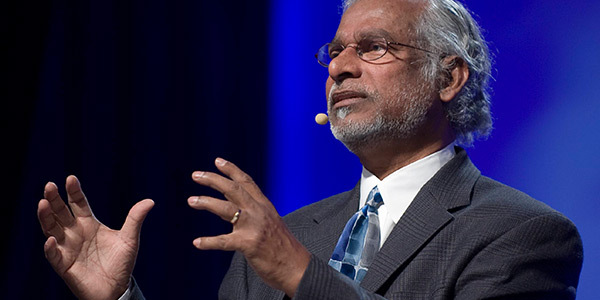 Yohannan, Metropolitan is a prolific writer with more than 200 books published in Asia and 11 in the United States. With more than 3.9 million copies in print, Dr. Yohannan's landmark book, Revolution in World Missions, is an international bestseller that has literally changed the course of mission history in our generation. 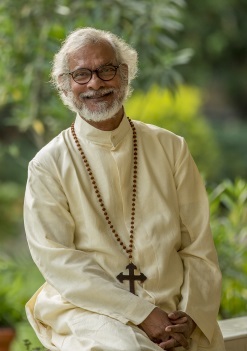 Dr. Yohannan's other titles include The Road to Reality; Come, Let's Reach the World; Living in the Light of Eternity; Reflecting His Image; Against the Wind; Touching Godliness through Submission; Destined to Soar; No Longer a Slumdog; Dance Not for Time and Little Things that Make a Big Difference. For his faithful service to the Body of Christ, Dr. Yohannan was awarded an honorary Doctor of Divinity degree from Hindustan Bible College in Chennai, India. Dr. K.P. Yohannan's weekly Road to Reality radio program airs on more than 800 radio stations in the United States, Canada, Australia, New Zealand and the United Kingdom. His heart's desire is to see a new generation catch sight of the Lord's burden for the lost in their generation and to give themselves, no-holds-barred, to His work. Dr. Yohannan is a prolific writer with more than 200 books published in Asia and nine in the United States. 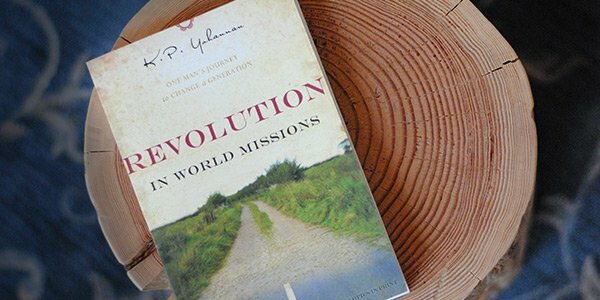 Dr. Yohannan's landmark book, Revolution in World Missions, is an international bestseller that has literally changed the course of mission history in our generation.